Fancy going away to Cairo? Run a search for our Cairo flights and browse among our best flight deals. We search hundreds of airlines so that we can bring you the absolute best flight deals to Cairo. 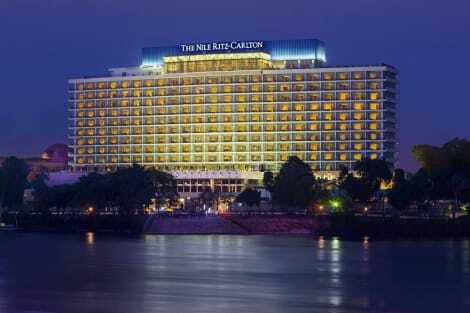 On the bank of the River Nile, Cairo stands tall as the historical capital city of Egypt. It has a high Islamic population, seen in the many beautiful mosques and religious buildings around 'the city of a thousand minarets'. Flights to Cairo International Airport come in close to several tourist attractions, such as Giza Zoo, so you can get straight out and explore. Thousands of people come to Egypt to see the pyramids and the Great Sphinx at the Giza Necropolis. The Great Pyramid is the last surviving Wonder of the Ancient World. While you're at the pyramids, you can take a camel ride - the whole family can have a go. Some of Cairo's most-visited buildings include the Mosque of Muhammad Ali Pasha from the Ottoman era and the third-century Hanging Church. Babylon Fortress is an ancient castle in the city centre, said to date back to 525BC. Bartering and haggling are something of a national sport. When you visit Cairo, be prepared to try your luck with street vendors and market stall owners. Visit Khan-el-Khalili, the city's largest souk (or bazaar), to find stalls selling jewellery, souvenirs and antiques. For a more familiar indoor shopping experience, try the First Mall underneath Cairo's Four Seasons hotel. Street food is one of the city's booming trades, and it's easy to find falafel or a kebab for lunch. Traditional Egyptian food uses a lot of vegetables and legumes, such as lentils and chickpeas. A strong contender for the national dish is koshari, made with lentils, rice and macaroni. One of the best places to experience daily life in Cairo is at a coffee house (known as an 'ahwah'). They're welcoming to tourists, and the coffee is served hot and strong. Locals often pick their favourite ahwah and stick to it, so you're likely to see familiar faces every time you walk by. Since 1961, the tallest structure in Egypt has been Cairo Tower. The building is 187m high, and houses an observation deck and a rotating restaurant. 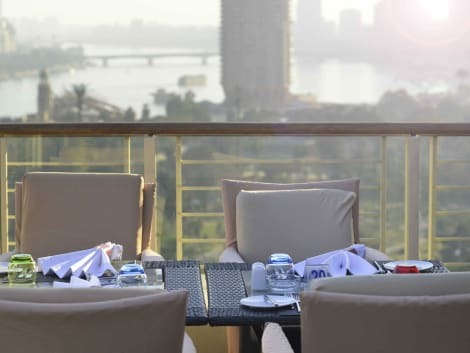 The tower is on Gezira Island in the middle of the Nile, where you'll also find the stunning Cairo Opera House.